About Us – Budd Severino Advanced Home Exteriors, Inc. 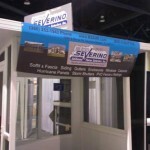 The top priority of all of Budd Severino Advanced Home Exteriors, Inc. employees is customer service. Our customer service representatives are available upon request for a free estimate at any time that is convenient for you. Budd Severino Advanced Home Exteriors, Inc. has a General Contractor’s License for all of your exterior remodeling needs.